Trinity Christian School makes every effort to maintain reasonable tuition through careful planning and financial stewardship. Tuition is approved annually by the School Board. Tuition schedules are available each February for the following year. For a complete Tuition Schedule, you can view our 2019-2020 schedule, or request additional information here. *Home School Extension classes are $800 per full credit course and $550 per half credit course. Book pack fees are charged separately because they represent a product for students to own. While some schools will have students pay for all their books, we limit our book packs to just those works of literature we want students to mark up and then keep for their own personal libraries. Contact your respective principal if you would like to see a list of books included in each grade’s book pack. Trinity Christian School uniforms are provided by Lands’ End. To purchase uniforms online, go to www.landsend.com/school and click “Find My School.” From there, you can either look up Trinity Christian School or enter our Preferred School Number, 900162702. To help make our school as affordable as possible, Trinity Christian School also hosts a used uniform sale each summer. For details about this year’s sale, please check our Facebook for updates. Trinity Christian School offers tuition assistance for students in Preschool through Grade 12 based on the need of the family and is awarded on an annual basis. Tuition assistance is not available for Home School Extension students or our Summer Advantage Program. The tuition assistance is funded by Trinity's Parent Teacher Fellowship, individual donors, community foundation grants, and in part by our school’s operating budget. Funds are limited. Families requesting assistance must have an admissions application on file with the school to be considered. The tuition assistance application is to be completed annually online at www.factstuitionaid.com. FACTS Grant Aid charges a $30 non-refundable application fee per family. Online applications are due mid-March; award notification letters will be sent out by mid-April. Families receiving tuition assistance are strongly encouraged to participate and volunteer in Campus Work Days, and/or to serve the school in ways in which they are gifted. Parents of preschool children can apply for tuition assistance through PATCH Preschool Open Doors. 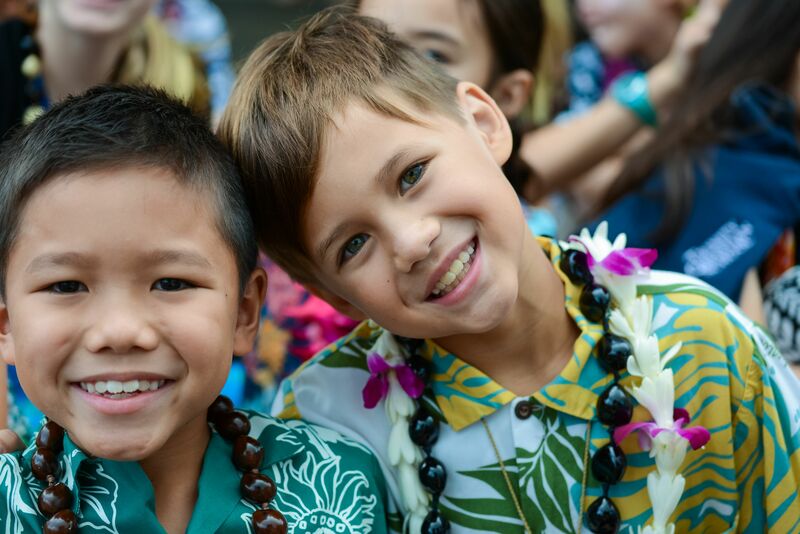 Kamehameha Schools also offers the Pauahi Keiki Scholars Preschool Scholarship Program for those of Hawaiian ancestry. The Kipona Scholarship Program is also available for those in elementary. Please contact the Kamehameha Schools Financial Aid & Scholarship Services Office for eligibility information and application. Trinity Christian School uses FACTS Grant & Aid Assessment to help collect information and conduct the financial need analysis. Preschool through 12th grade students who have applied to the school are eligible for tuition assistance. Families applying for tuition assistance must complete an application and submit the necessary supporting documents to FACTS Grant & Aid Assessment by the dates below. Applicants are encouraged to apply early. Tuition assistance is awarded in rounds until funds are exhausted. Applicants can apply online by clicking the FACTS link on ParentsWeb (ParentsWeb->FACTS->FACTS Links->Apply for Grant & Aid->sign in with FACTS login information) or find the ParentsWeb link on our school website: www.tcskailua.net ->Parent Login. Copies of the prior year’s Federal tax forms including all supporting tax schedules. Copies of the prior year’s W-2 forms for both you and your spouse. Documentation can also be faxed to 866-315-9264 or mailed to the address below. Please be sure to include the applicant ID that FACTS generates on all faxed or mailed correspondence. Please refer to our Tuition Assistance Frequently Asked Questions for our policy on tuition assistance for divorced or separated parents.